Rory dreamed of being a rock star, but chose a career in the construction industry after realizing that singing was not a talent which he possessed. 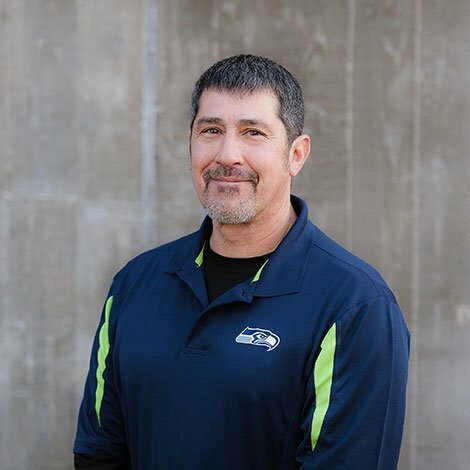 He has over thirty years of experience working on a variety of project types, with a strong background in design-build and wood-framed projects. After joining the team in 2010, he has become WA Patriot’s own version of a “Rock Star” Superintendent. His ability to effectively manage and overcome challenges in the field makes him a vital part of the team. Music is still an important part of his life. Rory loves listening to music, often finding inspiration in the music he enjoys. He is constantly striving for perfection with the understanding that perfection may not be attainable; however, if you pursue it, you can achieve excellence. Rory says the pursuit of perfection motivates him each and every day. When he isn’t working, Rory enjoys spending time with his family. He also enjoys camping, hunting, fishing, and golfing.